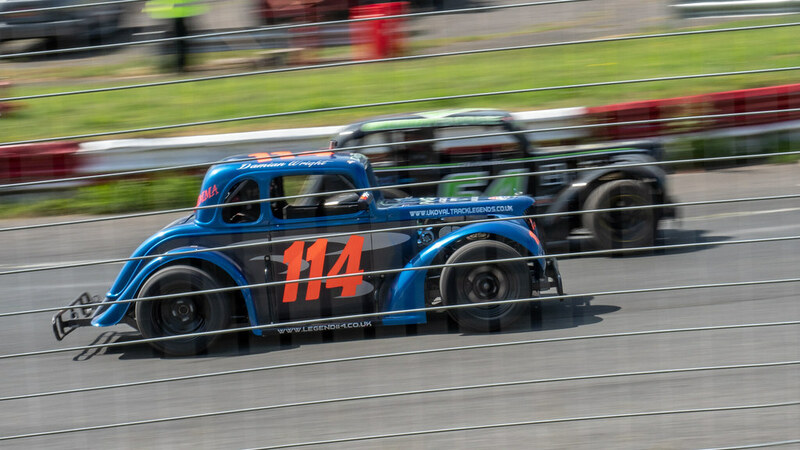 At Hednesford Hills Raceway on Sunday with Damian and the short oval formula “Legends”. 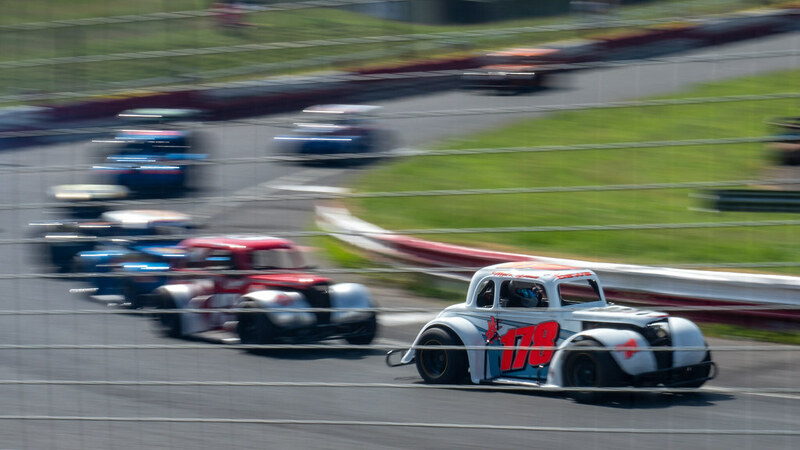 Like all oval tracks Hednesford is surrounded by a wire fence, for obvious and necessary safety reasons, which makes shooting through it a challenge, especially on Sunday as it was a bright sunny day and the wire reflects whichever way you look at it. At 1/20th of a second shutter this shot was a challenge, it’s only thanks to the EM1.2’s killer FPS that I can fire off a sequence of shots like this and hope to get any in focus. 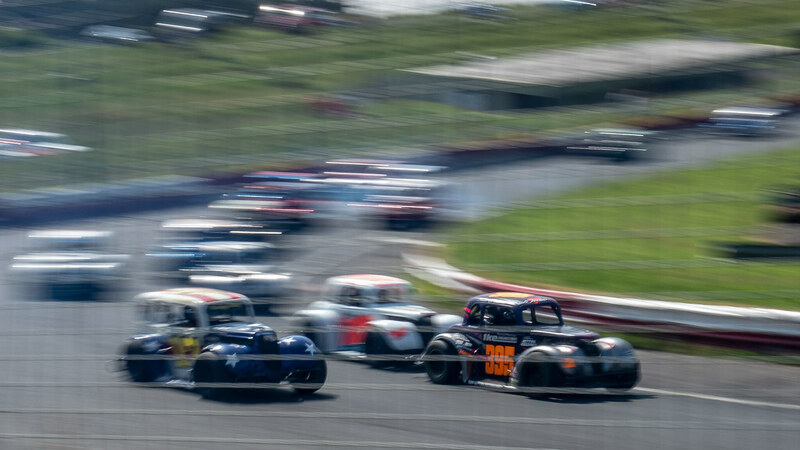 In this one the car I’d intended to be in focus (the lead car) almost kind of is, but the fence is a distracting and visible grid across the whole frame. Same again but at 1/40th, and this time the horizontal wires of the safety fence are more noticeable than the vertical, but you can also see they’re more solid at the bottom as they more closely follow the direction in which I was panning. This one is more side-on, and the horizontal wires are now a solid line due to following the direction of panning almost exactly, but the vertical lines, whilst still noticeable, are almost gone. This would’ve been an excellent shot if not for those lines, although one could also argue they add flow to the image in the same way the blurred background does. 1/60th seemed to be about the sweet spot, but it depends on the precise angle as well, here the vertical is more noticeable than the one above, possibly because the direction of panning was slightly off, keeping the camera perfectly aligned with a fence you can’t actually see whilst panning is damn near impossible. One thing to note about all these images is the aperture is very narrow, max’ed out at f/22 in the top 2 and not far off it for the other 2. At these narrow apertures the depth of field is enormous, pretty much the whole scene is in focus and it’s only the panning motion that’s making any of it not in focus. 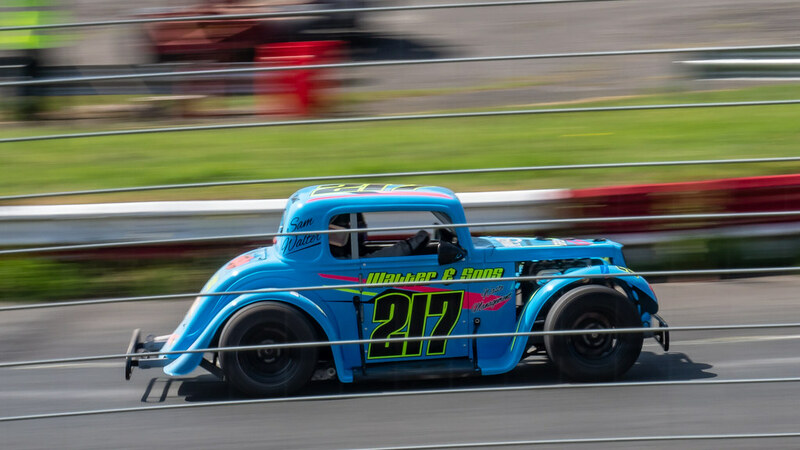 A very shallow depth of field however, assuming I could’ve nailed the focus point on the car, would’ve potentially put the fence out of focus as opposed to blurred (or out of focus and blurred). To narrow the depth of field I’d need to drastically increase the aperture, more so on the Olympus EM1.2 as it has a micro 4/3rds sensor (smaller sensor = narrower angle of view = wider depth of field). But I couldn’t increase the aperture in these shots because then the images would’ve been overexposed. One solution is a ND (neutral density) filter, a device that screws on the end of the lens to reduce the amount of light entering the camera, thereby enabling the aperture to be opened wider.